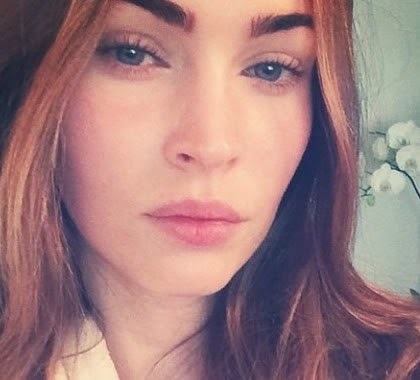 Megan Fox opened an account on Instagram, early on Friday, 4, and for your first post, chose a photo "selfie", which appears without makeup. "First IG (Instagram) selfie. Early morning without makeup or filter," the actress wrote on her social network. She has already been considered for years 'the sexiest woman in the world', was highly praised by her followers. "You're perfect," wrote one fan. "You are an inspiration, Megan Fox. Still Linda and mother of two," said another. The actress is the mother of Noah, one year, and Bodhi, four months. Boys are fruits of the relationship with the star actor and director Brian Austin Green. Whats your opinion of Megan Fox without Makeup?